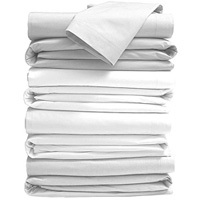 Twin sheet set (one flat, one fitted, one pillowcase). Second week 1/2 off! NOTE: Sheet sets are for ONE bed.